Founded in 2014 by Nick Neagle and Zackery Betty, NSquared Dance is a contemporary dance company creating art in New York City. 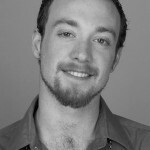 Nick is a director, producer, and choreographer; he is proud to share his artistic visions with New York City audiences! He is a graduate of Marymount Manhattan College, where he received his BFA in Dance. While in school, composition was his main focus and found a passion for choreographing. Upon graduation, Nick founded his company, NSquared Dance in 2014. Nick has produced three shows in New York City and is a reoccurring choreographer for the Queensboro Dance Festival and the Moving Beauty Series. He is also the resident choreographer for the Lower East Side Shakespeare Company. Nick has choreographed two shows, one of which he has nominated for “Outstanding Choreography” in the 2016 Planet Connection Awards. Nick has shown work in over twenty-five festivals and is excited to show more dances through the end of June. Nick is branching out of NYC wanting to share his work throughout the states. Zack is a native of Maine, but now calls the Big Apple his home. Zackery received his BFA in Dance with a concentration in Jazz from Marymount Manhattan College. Not only does Zackery co-operate NSquared Dance with Nick, he is also a Dancer with Keigwin & Co. a prestigious NYC dance company. He has been with K&C for 2 seasons and just got back from a month exchange tour to Africa thanks to The US State Department and Brooklyn Academy of Music! He has performed on stages such as the Joyce Theater, Symphony Space, and New York City Center. With NSquared Dance Zackery enjoys working side by side with his husband and being able to share many stages and performances with him. He has also been a member of Tami Stronach Dance and Project 44 dance companies. He is wicked excited to be living his dream as a performing artist in NYC! Jennifer Bourgeault holds a B.A. in Dance from DeSales University, where she studied the classical modern techniques of Limon, Cunningham, Horton, and Taylor. While in Philadelphia, Jennifer was a soloist with the Opera Company of Philadelphia’s The Pearl Fishers and Aida. Upon returning to her native state of Maine in 2006, Jennifer established Collective Motion (CM), a collaborative modern dance company. With CM she has had the opportunity to work with Maine’s best dancers and choreographers, presenting work throughout Maine and New England. She would like to thank Annie Erkkinen and Portland Youth Dance Company for the opportunity to work with such talented young dancers. Elizabeth Lau thrives on spreading her excitement and passion for dance with kids and adults of all ages. While earning a marketing degree and dance minor from The George Washington University, a love of hip-hop was born at Culture Shock DC. Her heart was further ignited working with at-risk youth in the DC metro area. Since returning to Maine in 2007, she’s taught all over southern Maine and is on faculty at Casco Bay Movers. As the Outreach Director of Portland Youth Dance, she aims to share hip-hop culture and history within her community. Current outreach work includes Mayo St. Arts, The Boys & Girls Club, Learning Works, Free Summer Lunch & Slim Peace. She’s performed with indiedanceworks, Truform, Portland Ballet and for Maya Angelou. Julie Akers Wilkes: Julie began dancing at the age of four in Marietta Georgia. As a youth, she trained under the direction of Maniya Barredo of the Atlanta Ballet in the pre-professional ballet program. While attending Pope High School, Julie joined the highly decorated colorguard program, receiving numerous awards, including a silver in 2000 at the Winter Guard International Competition in Dayton Ohio. In 2005, she graduated from Elon University receiving a B.A. in dance and human services. After graduation, Julie moved to Florida and joined the entertainment department of Walt Disney World, performing in Mickey’s Twas The Night Before Christmas show at the Magic Kingdom and the Stars And Motorcars parade at MGM studios.Returning to Georgia, Julie taught the East Coweta Colorguard in Shapsburg, Georgia for the 2006-2007 season. During 2007-2010 her coaching with the Pope High School Colorguard, assisted the winter guard program to receive bronze and silver medals at WGI in Dayton Ohio. Julie has performed with Indiedanceworks and Collective Motion and set choreography on youth and adult dancers throughout Maine. Shakia Johnson: born and raised in Springfield, MA, is a graduate of Pioneer Valley’s Performing Arts Charter High School and Dean College. She received her teaching artist certificate from the National Dance Institute in New York in 2009. Johnson has choreographed and directed more than 40 hip hop, modern, African and lyrical works that have been performed at Trenton Educational Dance Institute, Rider University, the Princeton School of Ballet and the Bates Dance Festival. She has performed for numerous hip hop events and has opened for concerts by Fat Joe, Jadakiss, 112, Charlie Baltimore, Kima from “Total” and Omarion. In 2005 she choreographed a hip-hop number for the Celtics/NBA half-time show. She has toured the U.S. and abroad dancing with Face Da Phlave Entertainment and Illstyle and Peace Productions. Johnson is an alumnus of BDF’s Young Dancers Workshop and was selected for BDF’s Emerging Choreographer program in 2006. She currently teaches Hip Hop Dance and Culture at Pioneer Valley Performing Arts High School, Mount Holyoke College and Smith College. Garrett Minniti is thrilled to be back on the West Coast and is on a mission to excite the dance community with tap dance! For the past three years Garrett has been living in New York where he teaches at STEPS on Broadway, Dance New Amsterdam, and both choreographs and dances with Sybarite Productions. He performs as a guest regularly with dance companies GPR Entertainment, VIM Productions, Steven Williams, EraFusion, and Arch Dance Company. He is also on faculty with NYLA Dance Competitions and Conventions where he teaches both Tap and Hip Hop. Garrett has danced his way across the country and internationally with tap dance sensation Caution: Men at Work Tap, Broadway’s SWING! and 42nd Street. Direction/Choreography credits include industrial, stage and screen performances with Warner Brothers, Reed Productions, Kim Freedman Productions, and Equity Fights Aids. Other credits include A Chorus Line (Mike), Grease (Danny), Singing in the Rain (Cosmo), The Great American Songbook starring Ed Ames and Carol Lawrence (Branson, MO), and the world premiere production of GIDGET, A New Musical written and directed by Francis Ford Coppola. Most recently Garrett, with choreography partner Ahkai Franklin, founded In It For Life Productions. Annie Kloppenberg’s creative and theoretical research hinges on improvisation and investigates pedagogies of choreography. She teaches and performs nationally with the Improvisational trio Like You Mean It (www.lymitrio.com)and has presented her collaborative performance, workshop, paper, and structure for making dance Foreword/Afterword (www.forewordafterword.com) internationally, most recently in Athens, Greece, Istanbul, Turkey, and at The IDCODE Symposium at Impulstanz in Vienna, Austria. She regularly presents scholarly papers at academic conferences and has published articles in the Dance Chronicle and Kinebago,and her work has appeared in Dance Magazine. 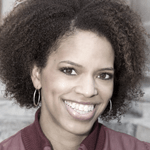 She is the co-founder and curator of the Moving Target Boston class series and concerts. Recent choreographic commissions and residencies include Colby College, The Boston Dance Alliance Rehearsal & Retreat Fellowship, Summer Stages Dance at Concord Academy & ICA Boston, The Boston Center for the Arts, Dance Theater Workshop’s Outer/Space, Dublin Arts Council with OhioDance and The Ohio State University, and the Taft School. Kloppenberg’s choreography has been shown at venues such as Movement Research at the Judson Church, Dance Space Center (now DNA), Jose Mateo Ballet Theater, Jennifer Muller/the Works, Green Street Studios’, Cambridge Multicultural Arts Center, Rebound Dance Festival, Bates College, Colby College, FAB, MDF, The 92nd St. Y, Provincetown Dance Festival, and Exit Dance Theater/Boston Dance Alliance among others. process dance can bring to people when given the opportunity. Brittany Camire began dancing at the age of 13 and trained in all techniques, however it didn’t take her long to realize that hip hop was her true passion. She danced as a competitive dancer throughout her high school career and also danced as a member of several hip hop crews. Brittany also trained for 6 months with D7, a London choreographer who traveled to the US to work with her studio. 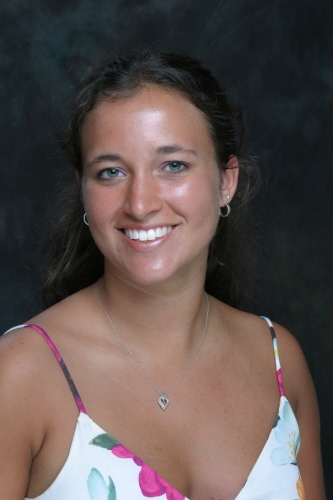 Brittany enjoys teaching all ages and teaches throughout the state of Maine. She believes in educating her students about hip hop culture as well as providing age appropriate choreography. Brittany has taken classes with Ephrat Asherie and Jared Jenkins of NYC, Anthony Carr of the Amount Boyz, Ricky Tripp, and Junnyahh Rodriguez of America’s Best Dance Crew to name a few. She continues to study as often as possible to grow as a choreographer and dancer and in order to pass on knowledge to her students. Sarah-Katarina “SKooJ CorE-O” brings her knowledge and talents with experience in performance, choreography, instruction, and adjudication. With her present main focus on Commercial/Theatrical Hip Hop and Contemporary dance, yet strongly trained in various styles, SKooJ captures the importance of versatility and the whole package of technique, personality, and connection. She is an Artistic Director of the Boston-based Static Noyze Dance Company (World Of Dance:NY Champions and Carnival NY Members), and is a Master Teacher, National Adjudicator, and Choreographer of various genres throughout New England. She is also on faculty at The Jeannette Neill’s Dance Studio specializing in Hip Hop, Contemporary, along with choreographing their Repertory Concerts. Founder and Director, her work has created the Boston Community Dance Project, a professional collective expressing their passion of story telling realistic stories at the Massachusetts Dance Festival, GreenFest Boston, ESPN’s The DewTour, and The Movement Festival to name a few. Other choreography projects have been recognized and awarded at numerous events such as NYC Dance Week, Unyted Stylez Entertainment: Circles Show, Australia’s own CEO Music, and many National Competition Dance Team performances with Turn It Up Dance Challenge. Her work has also been featured on the new HGTV series “Spontaneous Construction” and a recently featured dancer on The Dr. Oz Show! SKooJ is a graduate of Dean College with a Degree in Dance and Business Administration. In addition to Dean, she has intensively studied with Kelly Peters, Michelle Ball, and is currently teaching Performing Arts Conventions along side many elite motivators of Dance Community.SKooJ CorE-O has entered in the Music Video/Film industry with choreographing “Italiano” for International Pop Artist Tamara Rodriguez while creating choreography or dancing for Erene, “Digital Love” by Makio, “Dance With You” by Bad Rabbits ft. Clinton Sparks, “Burning on The Dancefloor” by Leah Hilton, and Lucia Marie’s House of Blues Tour! Lastly, SKooJ has partnered up with Salty Bovine Film with setting artistry for their past two short films ADONIS and MOSDEN. Tristan Koepke is a dancer, performer, educator, and bodyworker based in Minneapolis and New York City. He currently creates with and performs in the work of Chris Schlichting, Vanessa Anspaugh, Red Dirt Dance, and elephant JANE dance. As a member of Minneapolis repertory-based Zenon Dance Company from 2011-2015, he created and performed new works with many artists, including Faye Driscoll, Netta Yerushalmy, and Daniel Charon. His past performance credits include Doug Varone and Dancers, luciana achugar, BANDportier, Morgan Thorson, Patrick Scully, ARENA Dances, Time Track Productions, the Lyric Opera of Kansas City, and The Minnesota Opera. Tristan, also a yoga teacher and Rolf Practitioner of Structural Integration, received his BA in Dance from the University of Minnesota-Twin Cities. He is currently the Co-Director of the Young Dancers Workshop at the Bates Dance Festival. Kristina Glanville is excited to continue to share her love of hip hop dance with students in southern Maine after training, performing, and teaching in the area for the past seven years. She holds a degree from University of Southern Maine in communication and media studies. In 2010, Kristina began training with Portland Youth Dance, a pre-professional company dedicated to “cultivating personal artistic growth for youth, while striving for creative excellence in dance.” With PYD, she trained in hip hop, jazz, modern, ballet & lyrical, and had the opportunity to train with choreographers in Boston and NYC. In 2012, she joined the company’s all-hip hop crew, Dynamix, in its first year and had the opportunity to train with some of the hottest hip hop choreographers from New England and NYC. During her time with Portland Youth Dance, Kristina began teaching outreach hip hop classes to at-risk youth in the community. With her Portland Youth Dance mentors, she has worked with children and teens at the Boys & Girls Club of Portland, Mayo Street Arts, STRIVE, and a handful of elementary schools in the greater Portland area. As an alumni of PYD, she continues to work with the program to teach these classes and spread the joy of dance to even more children in the area. In addition to teaching, Kristina is continuing her training at Casco Bay Movers, where she takes hip hop and jazz classes. She often travels to Boston and New York City to train with choreographers from Jeannette Neil Dance Studio, Phunk Phenomenon, and Broadway Dance Center. Ray Dumont has been teaching tap and musical theater in addition to directing and choreographing musical theatre productions throughout Southern/Central Maine for many years. A member of Actors’ Equity Association, he has performed professionally at numerous regional theatres in the United States. His favorite productions include A Chorus Line, Grand Hotel, Cabaret, Chicago and Blood Brothers. In Ray served as Managing Director of Maine State Music Theater from 1999 to 2003. During that time, Ray had the honor of producing the world premiere of a new version of Frank Leosser’s Hans Christian Anderson, with a new book by Maury Yeston, as well as the northern New England premieres of Titanic and The Scarlet Pimpernel. Ray has in recent MSMT seasons appeared as Andy Lee/Bert Berry in 42nd Street, a Gangster in The Drowsy Chaperone and as Carmen Ghia in The Producers as well as having the pleasure of directing Rent and choreographing Gypsy. In 2014 he directed and choreographed Into The Woods (Lyric Theatre), Grey Gardens (Mad Horse Theatre) and Cabaret (Mad Horse/Razer Entertainment, all of which were named as critics’ choices by Broadway World.com. This summer, he will choreograph Fame and direct/choreograph Shrek Jr., both at MSMT. Upcoming for 2015-16: Shrek (YHS), Mary Poppins (Portland Players), Urinetown (UMaine), and The Wild Party (Portland Players) Ray is thrilled to join the staff of Casco Bay Movers and share his passion for tap and theatrical dance with his students. Roberto Forleo was born in Bari, Italy and trained at Scuola di Balletto Classico Cosi-Stafanescu (Reggio Emilia-Italy) and with Ecole Atelier Rudra Béjart Lausanne (Switzerland) where he studied with Azari Plisetzki, Sulamith Messerer, Suzanne Farrell, David Howard and Colette Milner. Roberto is a graduate of the Centre National de la Danse, Pantin-Paris (France) as a certified Ballet Teacher, where he was invited back as a Guest Artist to teach. He has taught at DV8 Dance Company (England), and in France at the Conservatoire de Dijon, the Conservatoire CRR de Montreuil and Ville d’Avray (Paris) and at the Conservatoire de danse de Biarritz. He has also performed with Grupo Corpo (Brazil), Bejart Ballet Lausanne (Switzerland), Rambert Dance Company (London-UK), Ballet Biarritiz (France), Cie Marie-Laure Agrapart (Paris-France), La-Parenthese Christophe Garcia (Marseille-France), Les Ballets Grandiva (Japan) and Les Ballets Trockadero de Monte Carlo (USA). He has toured internationally to Europe, Australia, New Zeland, Asia, North Africa, North America and South America. In the fall 2013 he joined Portland School of Ballet, as the director of the CORPS program, the pre-professional program of the school. His Choreography has been seen in Portland Ballet’s Boy Meets Girl, the Portland Symphony Orchestra’s Peter and the Wolf (Discovery Series), and his Alice was seen in the fall 2015, in collaboration with the Portland Symphony Orchestra and MECA. Betsi Graves, Artistic Director of Urbanity Dance, Boston, has taught ballet, jazz, and contemporary dance at Harvard University, Boston College, Regis College, and Boston Ballet. She has performed with LA Underground with Mia Michaels, Karen Murphy-Fitch’s Falling Flight Project, Theatre Mama, and Cirque du Soleil’s Kooza. She studied choreography at Jacob’s Pillow, and as a choreographer, won national awards and serves as judge for competitions throughout New England. Her work is regularly commissioned by companies and studios across the the United States. Betsi founded Urbanity Dance, Boston, MA, in 2008. Juarez Moniz of Companhia de Danca do Teatro Alberto Maranhao, Natal, Brasil. Professor Moniz returned to Maine on a grant through the Partners of the Americas to teach throughout the state and set choreography on the dancers of Portland Youth Dance. Debi Irons: dancer/choreographer/educator with over 33 years in the contemporary dance world. She created a method of dance education called VARIANT in 1988 that fosters personal creativity and expression along with healthy technique and movement vocabulary. Debi inspires self-motivation in life through dance, guiding each individual to aspire toward their own unique potential; teaching correct yet natural technique in variant dance forms for a broad foundation. Debi is trained in modern, jazz, ballet, acrobatics, afro-Brazilian, street, tap, choreography, improvisation, and musical theatre dance. All are used in her teaching. She continues to study, collaborate and produce, challenging herself as an artist and human being. 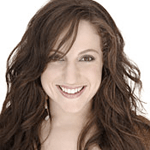 Debi has choreographed, performed, and/or taught on both coasts of the United States, in Brazil and Japan. Her VariantJazz (contemporary) method of dance education combines technique with self-expression and creativity. She works all over the state of Maine, including at Bates College, and has had a studio for 24 years in Norway, called ART MOVES, also home to outreach performing and teaching programs of the same name. Irons has danced for jazz musicians and worked with many artists, presently for Esduardo Mariscal in his LUZ; Back to Brasil with Daielma Santos & Art Moves Dance Co. was fun; MID-LIFE RIOT with Santos and Sara Whale is a dream project. She is collaborating with composer Philip Jackson on ACORDA! (wake up!) which began at Bates College in 2011 and has taken them across the United States and into Brazil so far – in search of an ideal. Kassandra Rateau: Hip Hop Dancing is not just a hobby for Kassandra, it’s a passion. Hip Hop has been cemented in her life since her early childhood years. Born in Boston and raised in Brockton, she first began her leadership role in 2000 as co-founder of the Brockton High Step Squad. In 2004 Kassandra Rateau transformed her positive energy and knowledge to the professional ranks due to the Phunk Phenomenon Dance Company. Not only has she been a dancer for Phunk for 11 years, she has also served as one of the dance instructors for youth and adults as well as the dance coach for the Boston Celtics Jr. Dance Team (Lil Phunk). Kassandra is now one of the leading choreographers at Phunk Phenomenon. Some of her accomplishments include dancing for many charities, opening for Miguel and Jamn 94.5 (Boston’s #1 Hip Hop Radio Station) Monster Jam. Kassandra has received numerous awards & medals at Hip Hop International Dance Competitions including placing 3rd on MTVs Americas Best Dance Crew Season 6. Kassandra specializes in high energy Raw Hip-Hop, Step, and performance skill. Kassandra coaches her dancers to build confidence, motivation, endurance, precision and as athletes. Andrea Michaud Tracy is a former principle dancer of Portland Ballet Company and also a former principle dancer and ballet and jazz teacher of Bossov Ballet Theatre. While at BBT, she studied under the close eye of Andrei Bossov for over 10 years as one of his first american students. Later, she became his dance partner in many of his world premier ballets. Andrea has been holding the title of Ballet and Contemporary Director at Kennebec Dance Centre for the past 17 years and is also currently the advanced ballet, contemporary and jazz teacher for Bradley’s School of Dance. Ms. Tracy has become an award winning choreographer receiving prestigious awards for her staging, concepts and choreography. Many of her students have received national recognition and scholarships to various well respected summer intensives and dance colleges. Andrea has repeatedly taught master classes for the Maine Dance Teachers seminars and various schools and companies throughout New England including setting her choreography on Portland Ballet Company, Bangor Ballet, and the Portland Youth Dancers. She also studied at the School of American Ballet in NYC and went to Japan when she was 1 of 7 dancers chosen to represent the USA at the 2nd International Ballet Competition in Nagoya. Andrea has performed with the ABT Studio Company and was offered a full dance scholarship to the University of Arizona. She was also accepted into numerous pre-professional dance programs including Ballet Met and Hubbard Street Dance Company. Currently, she frequently studies ballet, contemporary and musical theatre under Tony and Emmy award winning teachers and choreographers Travis Wall, Andy Blankenbueler, Kim Craven, Andy Pellick, Suzi Taylor, Joey Dowling, Jason Parsons, Teddy Forance, Nick Lazarinni, and Desmond Richardson. Lynne Schabhetl received her Bachelor of Arts in Dance from Dean College in December, 2013. She has training in Ballet, Horton, Limon, Alexander, Dunham, jazz, hip hop, stepping, contemporary and dance composition. She has trained in local studios in New Hampshire, Southern Maine, Dean College, and attended the Alvin Ailey Summer Intensive in 2012. She now lives in Los Angeles where she is pursuing a professional performance and choreographic career. She was the choreographer in residence and a performer with IndieDance Works in Portland Maine from 2014-2015. Her piece “Raven Like a Writing Desk” was showcased at the American College Dance Festival in the Spring of 2014. 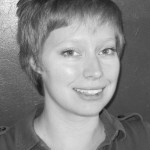 She has taught in several studios in Southern Maine including; Casco Bay Movers, All that Dance, and Brio Dance Studio. JunnYahh, a Boston born boy, began dancing at the age of fourteen and was teaching at seventeen. He has over ten years of training, has danced professionally for over five years, and is thrilled to share this knowledge. Although he is mostly known for his tricks and choreography, JunnYahh also has trained in contemporary, tap, jazz, modern ballet and lyrical. He has been a part of MTV’s America’s Best Dance Crew, FOX’s So You Think You Can Dance, NBC’s America’s Got Talent, Star Player’s West Side Story, choreographed for CBS’s Live To Dance and has appeared in the Step Up Movies, The Jump Off. He has performed at The Essence Music Festival and has traveled the world to teach, compete and showcase his talent. JunnYahh loves to share his passion for dance through teaching and strives to motivate himself and his students-young or aged-to succeed. 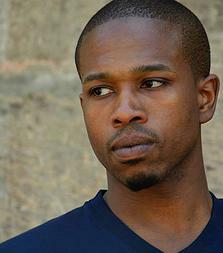 Danté Brown began his dance training at Wesleyan University, which led him to The Ohio State University to receive his MFA in Choreography and Performance. As a performer, Danté has worked with artists such as Esther Baker-Tarpaga, Christal Brown, David Dorfman, Kendra Portier, and Noa Zuk, among others. As an educator, Dante has had the opportunity to teach a range of classes at Bates College, Dancewave, Dance New Amsterdam, East Village Dance Project, Gibney Dance Center, Mark Morris Dance Center, Peridance Capezio Center and The Ohio State University. Brie Hinman graduated from University of Florida and has danced professionally with Moving Current, Tampa, FL and Collective Motion in Saco, Maine, among others. Brie’s choreography pushes boundaries and is always thought provoking. Josh Beaver was born and raised in Thompsontown, Pennsylvania. Josh started his training at age five taking gymnastics classes from his mother, Cynthia Beaver. After three years of gymnastics, Joshua was enthused by the dance classes at his mother’s gym and began taking tap class with Rachelle Niman, an employee. After 3 three years of taking tap lessons, Josh moved on to Williamsport Civic Ballet studios where he studied ballet, tap, and jazz. At the age of fifteen, Josh explored another dance training company and made the decision to join Movement Laboratory under the direction of Judy Williams Henry. Throughout training at Movement Laboratory, Josh got to train in styles of tap, jazz, modern, and ballet. During these years, Josh toured to South Carolina and Louisiana with Movement Laboratory, and also attended American Ballet Theatre’s Summer Intensive program in Detroit. After high school, Josh earned a full scholarship to go to the Boston Conservatory. Through the years at the Conservatory Josh trained with artist such as Jennifer Scanlon, Donald Mahler, Yasuko Tokunaga, Kathryn Posin, Jim May, and Alberto Del Saz. He performed various works throughout college including José Limón’s “Missa Brevis”, Anthony Tudor’s “Dark Elegies”, Anna Sokolow’s “Rooms”, and Alwin Nikolais’ “Mechanical Organ”. Also during his conservatory years, Josh performed at Mt. Gretna Theatre where he was hired as a dancer and assistant choreographer in “Fiddler on the Roof”, and the following year was hired as the main choreography in “Shenandoah” playing the role of Henry. During his years in Romania, Josh has toured and performed in Germany, Austria, Sicily, Hungary, New Zealand, and various theaters in Romania. In the summer of 2014, Josh was invited to work with Prague Chamber Ballet where he toured Mexico and also won 1st place in the Lila Lopez Contemporary Dance Competition held in Saint Luis Potosi, Mexico. 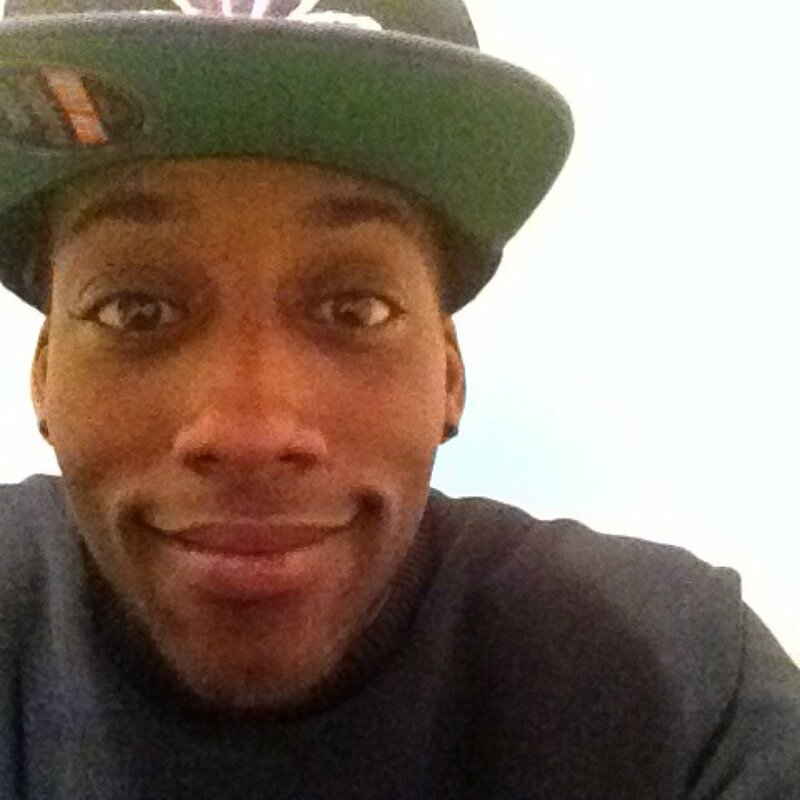 Devin Woolridge, Born and raised in Lynn MA, Devin has been dancing since the age of 5. He has choreographed for Phunk Phenomenon and appeared on ABDC season 6. He has also choreographed for the number 1 “dance” video game for x-box Dance Central 1,2, and 3. His choreography has been performed all over the world from NY to China. His choreography has also won him numerous metals at Hip Hop International in Las Vegas. Victoria Perreault received most of her professional training in Los Angeles on a Tremaine National Scholarship & in the San Francisco area with some of the most talented choreographers and educators. She has been a guest judge for Dance Masters Nationals in San Jose, CA. Victoria also filmed a commercial with Star Wars George Lucas, performed for Tom Hanks, and danced on the TV pilot More than Entertainment. In California, Viki wrote & directed LAmour Du Mal (an original play told through dance) for Visual Rhythm Dance Company. For years, she was guest jazz & hip hop instructor at San Jose State University, as well as a teacher for several amazing studios which included student Nick Lazzarini who emerged as the winner of SYTYCDs first season. Some of her former students have gone on to Broadway & successful careers in dance. Upon returning to her native State of Maine, Viki received awards & accolades for her choreographies, scholarships to Millenium Dance Complex in L.A., and filmed a television commercial with Blake McGrath of SYTYCD. The pinnacle of her career occurred January 2007 when Mia Michaels honored Viki with a BDC scholarship. Meredith Lyons is a dual city artist performing and creating in both Philadelphia and Portland, ME. She holds a B.A. in Dance Teaching and Choreography from Mercyhurst University, an M.F.A. in Dance Performance and Choreography from Smith College, and is Full Apparatus Classically trained from In Balance Pilates. She is the Admissions Director of Bates Dance Festival, on faculty in the dance departments of Bates College, Colby College, Southern Maine Community College and Pure Movement Portland Pilates. She has taught and presented her choreography inter/nationally throughout Europe, Dominican Republic, Jamaica, Puerto Rico, as well as been guest faculty with several dance departments including Dickinson, Providence College, Ursinus College, Connecticut College, Springfield College, Mercyhurst University and Montgomery County Community College. Additionally, Meredith has taught extensively within K-12 private and public institutions. Portland Youth Dance Company had the unique opportunity to learn an origianl Carolyn Dorfman work, “Portrait,” staged by long term CDDC company member, Wendee Rogerson. Wendee Rogerson began her professional dance career at the age of thirteen, training with the Royal Winnipeg Ballet. As she discovered her passion for modern dance, Wendee went on to train and perform with The Toronto Dance Theater. In 1991 she moved to New york City to study with Risa Steinberg of The Jose Limon Dance Co. Wendee has been a member of The Carolyn Dorfman Dance Company ( CDDC ) for the last 15 years, touring the US and Europe and also served as the rehearsal director. When Wendee is not dancing, she is a Pilates and fitness instructor and runs her own studio in Stonington, Maine. Carolyn Dorfman: Known as a creator of evocative dances that reflect her concerns about the human condition, Dorfman is interested in creating “worlds” into which the audience can enter. She has created stunning pieces that reflect a spirit and passion for life, people and truth, survival and renewal. Hailed as the consummate storyteller, Dorfman, a child of Holocaust survivors, has also created a celebrated body of work that honors her Jewish legacy; its trials and triumphs, its treasured uniqueness and, most importantly, its universal connections. Her interdisciplinary and intercultural approach on the stage and in the community explores the rich tapestry of human experience, tradition and stories – through the powerful universal language of dance. Honored with many artistic and civic awards, Dorfman has been designated a Distinguished Artist by the New Jersey State Council on the Arts (NJSCA), which has granted her six Choreography Fellowships (most recently 2011). She received the Prudential Prize for Non-Profit Leadership (the first ever given to an artist) and the Jewish Women in the Arts Award for Dance from the Jewish Community Center of Metropolitan Detroit and the Janice Charach Epstein Gallery. Most recently, in 2012, she was named the Industry Partner of the Year from the Union County Vocational Technical School/Academy for the Performing Arts; in 2013 she received the Dance Advocate Award by DanceNJ; in 2014, she was named a “Woman of Excellence” in the Arts and Humanities by the Union County Board of Chosen Freeholders/The Union County Commission on the Status of Women. This year, she is honored to be chosen to receive the 2015 Humanitarian Award from Seton Hall University and The Sister Rose Thering Fund. A Michigan native, Dorfman received her BFA in Dance with certification to teach grades K-12 from the University of Michigan and her MFA from New York University Tisch School for the Arts. A former Assistant Professor of Dance at Centenary College in NJ, Dorfman is a master teacher, mentor, and a guest artist/choreographer/lecturer at major universities, pre-professional and professional training programs across the U.S. A former artist and member of the board of the Yard and ArtPride NJ, she is currently on the Artist Committee of the All Stars Project NY/NJ and a member of their NJ Board of Trustees. She is a mentor for Dance USA’s mentoring program and is an Honorary Co-Chair of NJPAC’s Celebrate Dance Advisory Committee. Ms. Dorfman and the company lead the Dance Division for NJPAC’s Arts Education Program and is a resident artist, guest choreographer/teacher and mentor at leading pre-professional training programs in the U.S.
Born and raised in North Carolina, LaShawn Jones began her dance training at the age of 3 in a small town in North Carolina. She was a member of two dance groups at UNC- Chapel Hill and continued her education by obtaining a Master of Public Health degree after convincing herself that she needed a “real job.” After spending five years as an HIV prevention researcher and teaching dance part time, LaShawn stopped fighting her passion and moved to New York in the summer of 2011 to pursue dance. She taught the first hip hop class offered at the American Dance Festival in Durham, NC and Korea Dance Festival in Seoul, South Korea. She attended the Broadway Dance Center (BDC) 2010 Summer internship and was a dancer in BDC’s Step Up 3d Dance Dub. She is also a member of Kelly Peters Dance Company and an AFAA certified Zumba instructor throughout New York City. Ephrat “Bounce” Asherie has trained extensively in ballet and modern dance, but has found her artistic home in the street dance forms of b-girling (breaking), Hip-Hop and house. Ephrat began b-girling in Brooklyn in 2002 under Breakeasy (B.I.S crew) and training Hip-Hop with Leslie Feliciano. Soon after, she was introduced to house music and has been greatly influenced by the New York club scene ever since. Ephrat has performed and taught throughout the US and Europe, as well as in Peru and South Africa. She has appeared on MTV, Comedy Central and at Carnegie Hall, Madison Square Garden and DTW. Ephrat is a member of the all-female breaking crew FoxForceFive and of MAWU, a house dance collective. She was chosen by Dance Magazine as one of 25 to watch in 2007. Ephrat is co-founder of the non-profit outreach organization Dance for Peace: One Step at a Time. She recently performed in Bill Irwin’s premiere of the Happiness Lecture at the Philadelphia Theater Company. Nicole Stroumbos is an interdisciplinary artist, performer, and instructor. She has been dancing since the age of three and grew up training primarily at the Carlene Nazarian Dance Center in Salem, NH. There, she was exposed to various genres of dance, feeling most passionately about lyrical, jazz and contemporary movement. She has taught master classes and/or been a guest choreographer at The Carlene Nazarian Dance Center, The Dance Works, Salem Dance Network, A Dance Vision by Nicole, Thornton Academy, and Portland Youth Dance. She also was worked for The University of New Hampshire’s summer dance intensive. 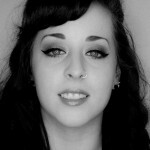 Nicole is a recent graduate of Maine College of Art, obtaining a BFA in Painting. She is currently a performer and member of Collective Motion dance company and teaching at The Studio of Dance Arts, Methuen, MA and The Dance Works, Haverhill, MA. Nicole is grateful for the opportunity to work with such talented and passionate individuals in Portland Youth Dance Company. Andrew Wojtal is a dancer/choreographer based in Los Angeles, CA and New York, NY. Recently Andrew was honored alongside Denzel and Pauletta Washington, as a Princess Grace Scholar at the Princess Grace Awards in November, 2010, an event held at New York City’s Cipriani on 42nd St. A 2011 graduate of California Institutes of the Arts’ BFA program in Dance and Choreography, Andrew has performed with Body Traffic contemporary dance company in Los Angeles, CA, Shen Wei Dance Arts in New York, NY, ARC Dance Project in Seattle, WA, and Island Moving Company in Newport, RI. He has also appeared commercially in NBC’s Parenthood and Director Sol Tryon’s feature length film The Living Wake.